simple but very cool casual look! 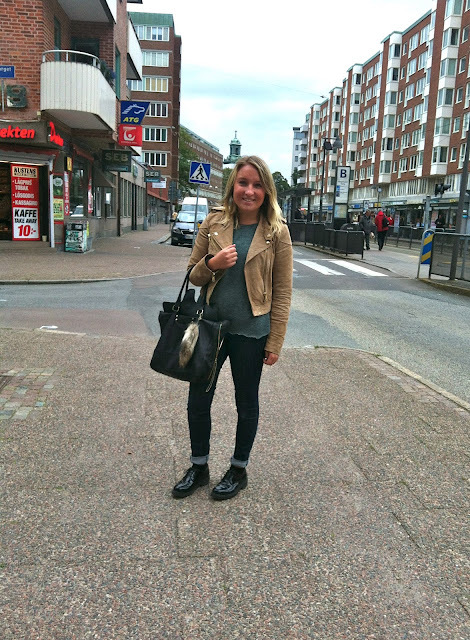 your boots are perfect with those skinnies, and very nice biker jacket! Love your leather jacket, it's a must pieces for Fall! The color is cool and love your whole look too! Come check out my blog and maybe we can follow each other? Schöne Farben - stehen dir sehr gut!